New protective gloves against cuts for work. Novelty in anti-cut, waterproof and oleophobic protection gloves. At REYSAN we care about your safety at work. 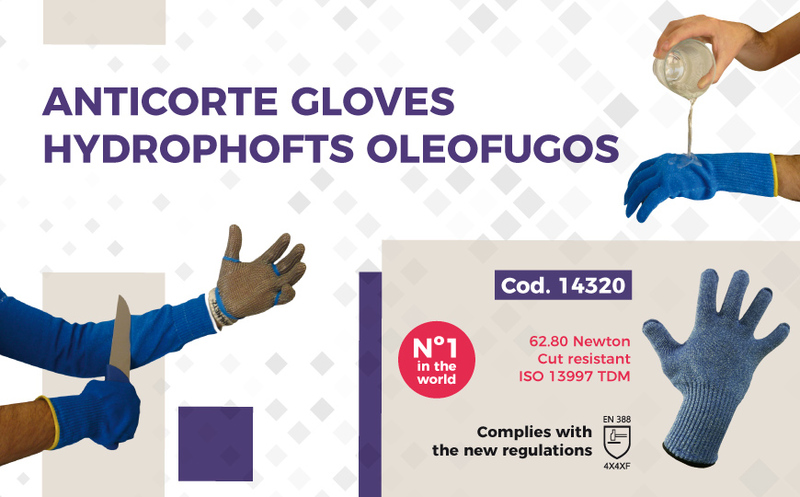 For this reason, we want to introduce you to the new level 5 anti-cut gloves, water-repellent and oleophobic. Made with polyethylene / polyester yarn. In addition, they repel water, which guarantees to avoid possible cuts in humid environments and have a resistance of 44.60 or 55.60 Newtons, depending on the model. NEW: The No. 1 glove in the world, complies with the new standard EN 388, 4X4XF, 62.80 Newton resistant to ISO 13997 TDM cut. View ANTICORTE GLOVE 62,80 NEWTON (DOES NOT CONTAIN GLASS).